For any organisation that operates within a high-risk environment, critical alarms are a fundamental component to assure the safety of staff and continuity of operations. The manufacturing industry, in particular, is known to be a high-risk environment as workers typically have to deal with heavy-duty machinery and potentially hazardous materials. This environment can be especially dangerous for lone workers who perform their roles without supervision from other colleagues. Organisations not only have a moral duty to ensure the safety of staff, but also a legal responsibility. 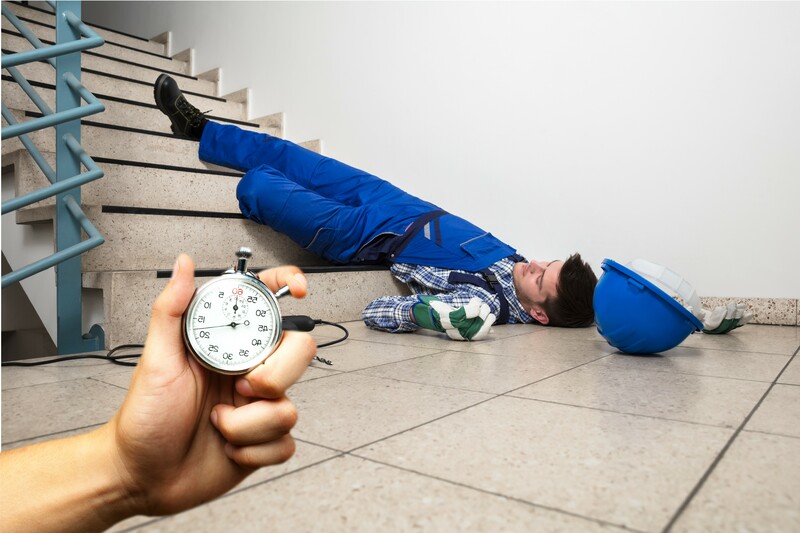 By law, employers must control any potential risks to injury or health that could arise in the workplace by undertaking risk assessments, provide information about potential hazards and how staff are protected, as well as train employees on how to deal with the risks. With a critical alarm system in place, staff can feel confident in the knowledge that their welfare is being monitored so in the event of an incident on site, it will be acknowledged and rectified as quickly as possible. In order to make this a reality, businesses must therefore ensure that the workforce fully understands the critical alarm response processes that are in place so that when an alarm is activated, they are fully prepared to act swiftly and appropriately. But what are the risks if a critical alert is not responded to in good time? While alerts are useful, unless critical alarms are managed and responded to efficiently, they are of little use to an organisation in terms of keeping employees safe and ensuring machinery continues to function at an optimum level. Inadequate alarm management and poor processes can lead to a number of consequences for organisations. If an employee is injured on site and requires emergency assistance, the time it takes to respond could be the difference between life and death and could mean the individual is left with life-changing injuries. By failing to respond appropriately to critical alarms or failing to put measures in place to keep staff as safe as possible, companies are risking the safety of their workforce and as a result, significant fines could be imposed by the Health and Safety Executive (HSE). Not only can these fines be financially damaging, the subsequent reputational damage can also be severe. Furthermore, staff may be opposed to working in the same roles until the right safety procedures are put into place, putting additional strain on the organisation. There is also a likelihood that organisations will also be faced with wasted time, product and money if machine alerts are not dealt with in a timely manner. For example, an alarm on a food production line could be triggered as a specific temperature threshold has almost been exceeded. If the alarm is responded to and resolved efficiently, the quantity of spoiled produce could be minimal or unaffected. However, if there is a delay in acknowledging the alert and performing a subsequent fix, the fault could escalate and the amount of wasted food could rapidly increase. In a worst-case scenario, if the entire production line has to be stopped or the building has to be evacuated due to safety concerns, the knock-on effect in terms of time and money could be significant. In any high-risk environment, incidents will occur but by deploying a combination of appropriate technology and processes, companies can effectively safeguard their operations and staff, and mitigate risks as much as possible.